On March 1, 2018 Roving Reporter’s pictures of the Peña Blanca Spring meteorite appeared on the Meteorite Picture of the Day website. I was immediately struck by this Aubrite’s sharp gray/white matrix coloration and its numerous inclusions. It is an exquisite meteorite! That weekend I decided that the next meteorite thin section to photograph will be the Peña Blanca Spring Aubrite. 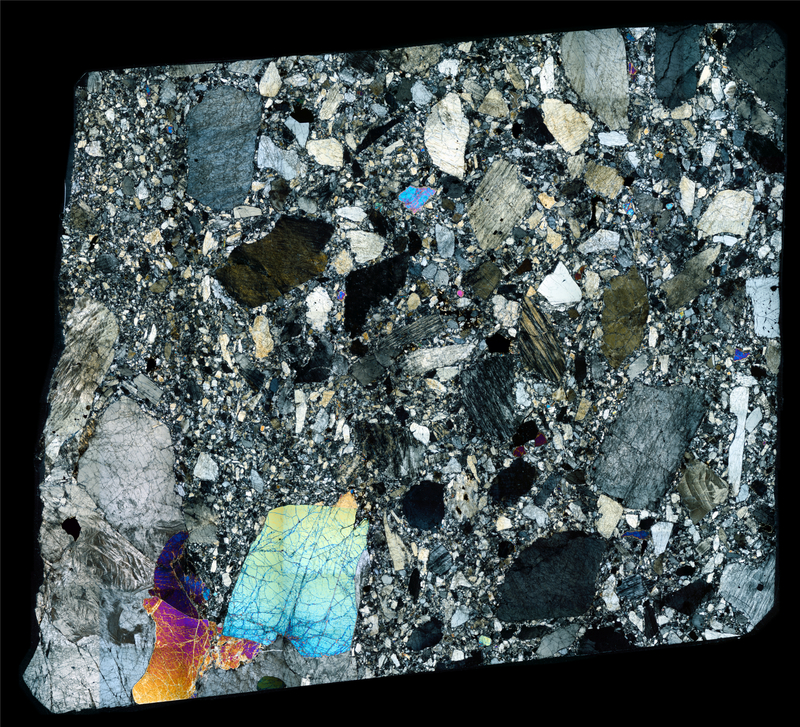 Presented here is the result of that decision: a large thin section in cross polarized light displaying the internal structure of this beautiful enstatite achondrite. The story of this meteorite’s discovery makes for good reading, so please enjoy: Story by John T. Lonsdale.